No Extra rounds allowed in this tournament. There must be a winner after 3 rounds. The 2nd tournament will also be a K-1 rules bout but allowing a full 3 minutes per a round. These bouts will allow for an extra round if required. 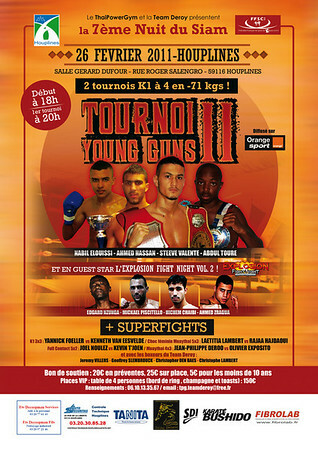 In the first part of the participating boxers from Deroy Team are : Jeremy Villers, Geoffrey Slembrouck Christopher Den Baes, and Christophe Lambert.